Well, I learned my lesson the first time I made a post by cussing like a little immature teenager or a sailor however you would want to look at it by my IDIOCRACIES! Man, I'm sick to my stomach. 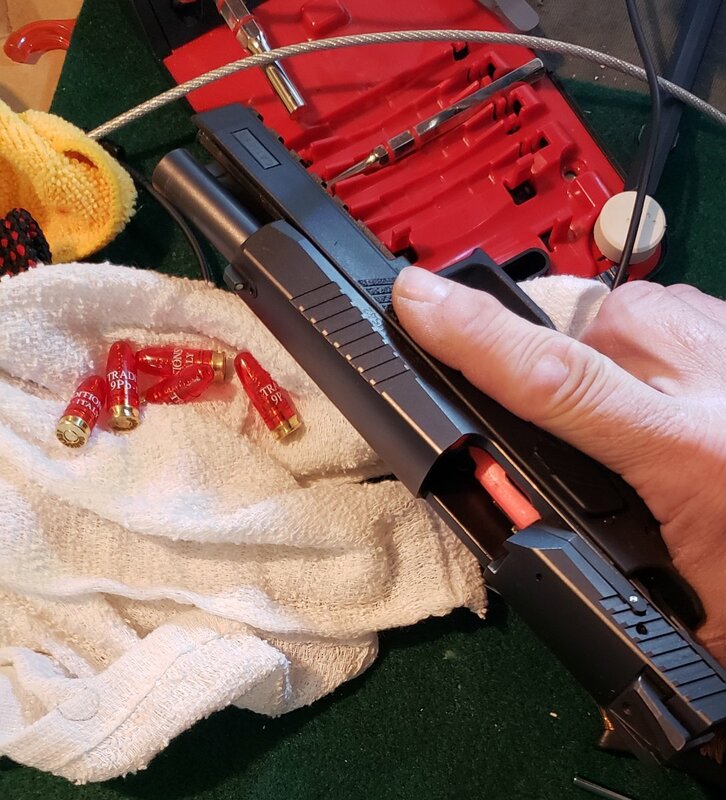 Cleaning slide with Real Avid 9mm bore snake and everything(barrel, bore snake) including 'Hands' due to transfer soaked in Hoppes No9 bore cleaner made for less grip potential. Dropped my P09 barrel on concrete floor. Trust me, I got all the cussing out of my system!! First mistake......SHOULD HAVE had over the counter and not aimlessly pulling bore snake through barrel while not protected over counter! !.....SMHID(Shaking My Head In Disgust)!! Hey, made new Acronym! I hate learning lessons the hard way! Can be expensive sometimes. Did I do permanent damage? I meant did I do permanent damage to where I need a new barrel? Will still function reliably? I know I cant be the only to make this mistake. I'd file down any sharp edges if any and carry on. Another angle or two for pics might help. IIRC, that corner is supposed to look like that. Quick Google search came up with this. No sharp edges that I can feel. I manually took finger around 'impression area'. The first pic should show a bit more. Wow, so....looks like maybe designed that way or someone else did same thing. All I heard was....'PING' after it left my hands and then all slow motion from there. That impression area was the first thing that I saw, so in my mind since it did not look symmetrical I thought that indention or impression area was the point of impact upon the concrete floor. 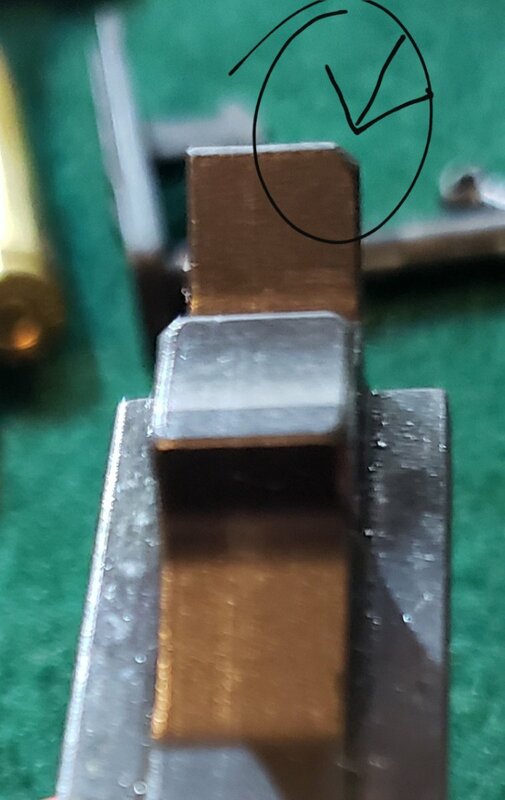 There does not appear to be any damage to the feed ramp or any critical area so you got pretty lucky and the barrel should be fine. Yeah I learned lessons like this early on. 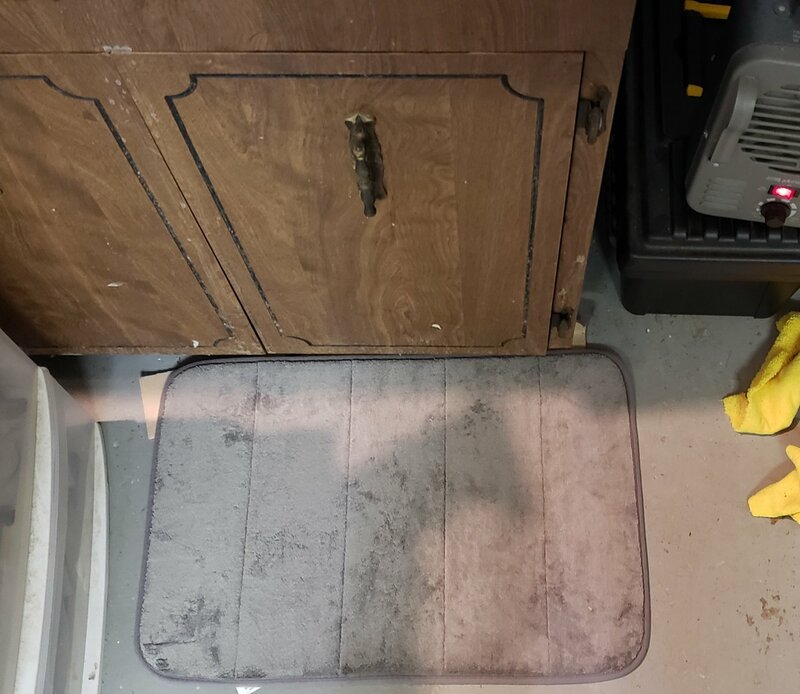 I have a pad I put down on my cleaning area and some old soft carpet as well just in case I drop something. Believe me this won't be the last thing that jumps out of your hands and tries to commit suicide. Things like this happen and the best we can do is take precautions to minimize the damage. I don't think that barrel is soft enough to be damaged from a drop like that. No worrries, my opinion is that you didn't hurt a thing. Good advise. The shower may will have to do for now! Again, probably overreaction prevailed. Being a newbie to this whole gun thing.....still much to learn. Appreciate your opinion. Forgot I had these little 'red' guys. Cycled through just fine. Thanks guys!